Sanofi-aventis has appointed Jérôme Contamine as chief financial officer. He takes the position left by Laurence Debroux who was promoted to the position of chief strategic officer in February. Contamine previously worked for Veolia Environment as senior executive vice president, deputy general manager and chief financial officer. 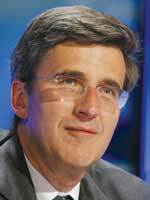 He joined Elf Aquitaine in 1988 and became group finance director and treasurer in 1991. In 1995 he became the general manager of Elf Petroleum Norway, and in 1999, he led the taskforce for integration with Total, in charge of reorganising the merged entity, TotalFinaElf. In 2000, Contamine became vice president Europe and Central Asia, upstream division of Total. The same year, he joined Vivendi Environnement as chief financial officer, deputy general manager and member of the board. Fiona Barwell has been appointed as client services director at event-led communications agency, Rapport, to increase its presence in the pharmaceutical market. Barwell's experience spans over 12 years, during which time she has worked for Gardiner Caldwell Communications and Fishawack Communications. Fleishman-Hillard Group has appointed David Berkovitch as an associate director in its healthcare division. With ten years' agency experience, he brings healthcare expertise in directing global communications programmes spanning all phases of the product lifecycle, through market shaping, launch and market expansion. Previously, David worked for seven years at Edelman, where he directed global accounts across a wide range of disease therapy areas for clients including Bayer, Pfizer, Abbott and Unilever. Initially, he worked for Freud Communications and MacLaurin before moving into healthcare PR. Interlace Global Group has appointed five specialist scientists to work for twin companies Wells Healthcare and Interlace Global Communications. Gaurav Kumar, Hibist Mesfin and Edwina Maynard have joined as assistant account managers, and Dr Rebecca Milton and Dr Robert Pitcher have joined as medical writers. Rebecca is an oncology specialist and will support key global accounts in Europe, while Robert - as a specialist in multiple therapeutic areas - will support key global accounts based in France and Switzerland. Cherry Wood has launched new healthcare communications consultancy, Liberation. Cherry is the former founder and managing director of Athena Medical PR, and brings former colleague, Rachel Hind, with her as a senior consultant. Clients include the ABPI, Bayer-Schering, Chiesi and IDIS. Paling Walters has formalised its four-year relationship with TBWA and will now be known as TBWA\Paling Walters. As a result, Mike Paling continues as chief executive officer of TBWA\Paling Walters, but also becomes chairman of TBWA\WorldHealth\Europe. In this new role, he will work closely with Hervé Brunette, president of TBWA\WorldHealth\Europe, to grow and develop the healthcare capabilities of the TBWA Group across Europe and beyond. Several promotions have been made at ScopeMedical. Delphine Reynaud is now an account executive. Kshipra Desai is now a senior medical writer. Carlene Carver Blackman, Jessica Blackwell and Francesca James have been made senior account executives, and Emily Violette and Ben King have been promoted to account managers. Pfizer has appointed Elizabeth Barrett as regional president US, for its Oncology Business Unit to lead sales, field operations and marketing. She has over 25 years' management expertise and a proven track record in building profitable organisations, working in multi-national companies with international experience and launching and expanding new businesses. Most recently, she was vice president and general manager, Oncology Business Unit at Cephalon. Harry King, formerly account director at Porter Novelli, has been promoted to associate director. The company has also appointed Julia Kirby, previously of Resolute Communications and Edelman, as associate director, and Abigail Reed, formerly of consultancy DBDA, as new senior account manager. The role of new senior account executive has been given to Emma Overington, previously of Munro and Forster, and new trainee executive Clare Jefferies joins fresh from a six-month work placement in the corporate strategy and communications team at Astellas Pharma. Euan Turner, formerly programme director at Axon Communications, has joined Resolute Communications as account director, bringing 10 years' experience in managing integrated PR and medical education initiatives in fields as diverse as Alzheimer's Disease, neuropathic pain, sexual health and dermatology. With strong experience in digital and social media tools, Euan will support existing clients and programmes for Pfizer's multi-indication Lyrica (pregablin) and GlaxoSmithKline's diabetes brand Avandia. Previously, Euan worked with the Department of Health in Belize. Senior account executive, Liz Wyatt also joins Resolute from De Facto (Bell Pottinger Health) where she gained experience in the biopharmaceutical, biomanufacturing healthcare IT and pharmaceutical sectors. Mandate Communications has appointed Rachel Rowson as account manager. She joins from Macmillan Cancer Support, where - as policy and public affairs manager - she campaigned on high profile health issues, including 'top-ups', NICE and information for cancer patients. Tony Yates and Steve Webb are directors of new healthcare agency, Well Advertising. Tony previously launched PAN advertising and Solaris Health, and Steve has over 20 years' experience working as an art and creative director, developing advertising campaigns for GSK Consumer, J&J and Reckitt Benckiser. VCCP has launched a specialist healthcare agency, VCCP Health. Led by Paul Phillips, it has recruited Brett O'Connor, formerly creative director of Torre Lazur McCann and Becky Wills, who has worked in sales and product management at MSD, Pharmacia and Organon. Sophie Goswell, previously head of strategy of Wolley Pau, joins the team in April. This core team is drawing upon the resources of VCCP. Fiona Bride has joined Huntsworth Health with 15 years' pharmaceutical industry experience in areas that include market access and commercial expertise. Huntsworth Health's digital portfolio now includes in-house production of promotional films and conference audio visual applications, and so the digital team has recruited Mangosh Prunier as multimedia manager, Robert Smyth as multimedia designer and Jessica Wilkinson as new media account assistant. In the medical education and PR division, Maura Seldon has been appointed as account director, bringing 12 years' experience, and Natalie Donovan and Victoria Smith have become account assistants. Brand communications has been strengthened by the appointment of Emma Cooper as senior account executive and Trevor Bartlett as creative art worker. Gavin Gandy joins The MSI Consultancy as a senior consultant. Gavin was previously at Pfizer, where, during a ten year period, he held a number of senior marketing roles, most recently as director, team leader, with EU responsibility for Lipitor. Prior to working at Pfizer, he spent thirteen years at Napp Laboratories and two years at the Royal Hampshire County Hospital as a Medical Microbiologist.